In this article I want to share with you our four main reasons why we do not vaccinate our kids and stopped immunizing us as well. It seems that not immunizing is quite trendy now days, however our decision 4 years ago wasn’t driven by any trend, just by mother’s instinct and common sense. As a professional in Public Health Medicine I studied epidemiology and prevention in depth. I was taught that immunization is the best possible way to protect babies and young kids from getting nasty and easily preventable infectious diseases. That time back in 2006, I believed everything our professors and doctors said without even questioning it. Then when I started working for NHS in London back in 2007 I had a great opportunity to work for Health Protection Unit for a month and one of my tasks was to do a couple of audits focused on infectious diseases’ outbreaks. I won’t bore you with all the details, but basically what I learned and it was a shock for me that time really, that people who were already vaccinated got the disease they were immunized against. I was obviously aware and it is a well known fact that immunization is not 100% effective, but I was surprised that out of let’s say 100 people who got the disease, 40 of them (40%) were vaccinated against the disease. Then my research about vaccination and its effectiveness and safety has started…That time, I had no idea how harmful the vaccines can be for little people… I think it is important to highlight it here so you understand where I come from. 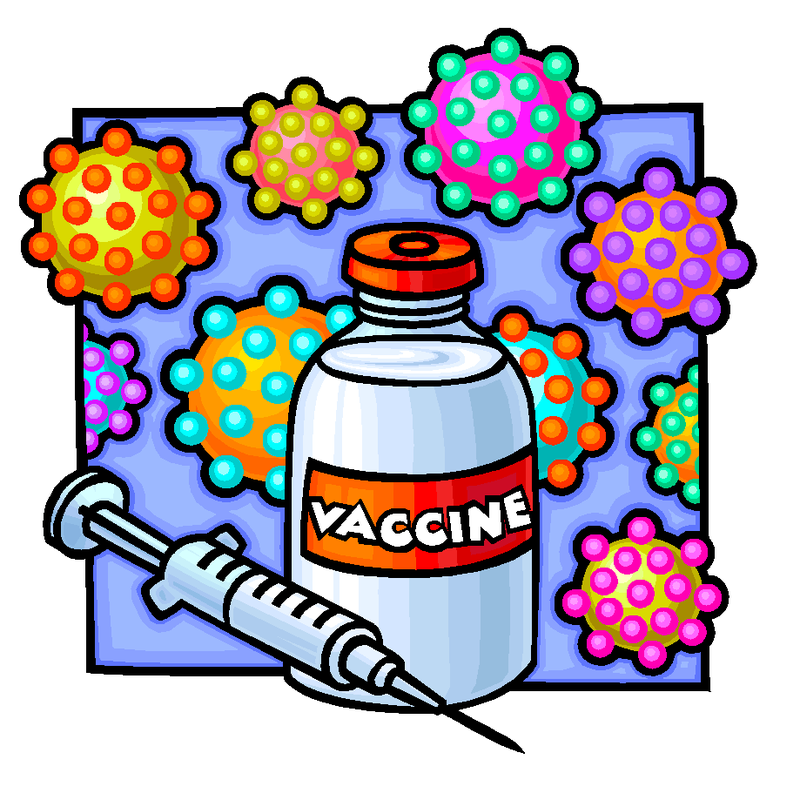 My intention in writing this article is not to force or persuade anyone not to immunize! The intention is to SHARE with you why we decided not to immunise anyone in our family anymore. I cannot give you here all the clinical studies and researched articles as it would be a book not an article. But I can certainly give you our main reasons and explanations for our informative decision. Also just put it straight here! 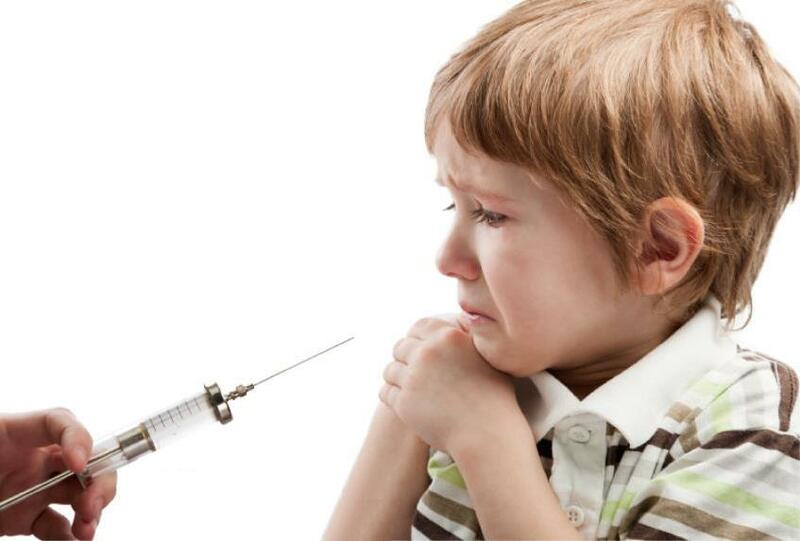 Our kids are too small to understand this topic deeply to decide for themselves so we decided for them not to immunise as they can always change their minds once they think it is necessary for them, but they wouldn’t be able to reverse any damage if we allowed a needle to be injected in their tiny muscles now. I hope you understand that. Anyway, here are our MAIN reasons (as there are too many) why we vaccinate neither our kids nor ourselves. 1. Mother instinct – for some of you it might not be a valid and significant reason however I strongly felt that I just cannot let anyone to inject my little babies who are so fragile and their immunity system has just started developing. I just couldn’t see them to suffer and I felt that this is not a natural way how to boost immunity! I carried my babies in my womb for 9 months each, I avoided most of the chemicals, processed food and alcohol to protect the little creatures inside me. Now, somebody would try to convince me that injecting all the nasty viruses, toxins and chemicals into my babies is right? Why?? Why we protect them before they are born, but when they are actually here we throw all the bad onto them? 2. Common sense – Immunisation programmes has started just recently (after Second World War) compared to the period of time Humans occupy this planet without vaccinations. Any of the scientific evidence would encourage us to vaccinate our kids. It is like saying that if we damage our car before we get into an accident would actually protect the car from damaging it even more. It’s like saying that Human race is not perfect enough like other living creatures on this planet so we need some immunity ‘booster’ to awake our ‘sleepy’ immunity. Common sense is telling me, ok, why don’t we have vaccine for every disease? Do you really think this is the solution to keep people healthy? Does this resonate with you? Vaccines are a huge and profitable business for pharmaceutical industry! Pharmaceutical industry doesn’t want people and our children to be healthy! If we are all healthy and happy, they would lose their business! I personally believe (obviously, it hasn’t been proven yet) that vaccines may cause infertility as depopulation is on the top of the ‘New World Order’ agenda! But this is another subject. Let’s go back to vaccinations. Now, as I know most of you may act and make decisions based on the scientific evidence rather than instinctively which is totally fine and I understand as I used to be the ‘right brained’ person as well so I list other reasons which supported our anti-vaccination decision. 3. Vaccines effectiveness – as I already mentioned there are many cases where the vaccine itself caused the disease! For instance the polio vaccine – According to The Indian Journal of Medical Ethics, the polio vaccine program launched by Bill Gates paralyzed 47,500 children in 2011 alone. The Medical Journal of Australia discovered ‘The relation of prophylactic inoculations (polio vaccines) to the outbreak of poliomyelitis (polio)’ as far back as 1951. Measles, Mumps, Rubella (MMR vaccine) – In 1963, the measles vaccine became available and later on the MMR vaccine became widely used in order to eradicate measles, mumps, and rubella. Between 1983 and 1990, there was a 423% increase in measles cases among vaccinated individuals. Then in 2006, the largest mumps outbreak in twenty years occurred. Among those infected, 63% were immunized, as shown by Neil Miller. You might be horrified by reading statistics such as: In 2012, there were 122 000 measles deaths globally – about 330 deaths every day or 14 deaths every hour (WHO website) however, you need to know that majority of these deaths occurred in developing countries such as Africa and some parts of Asia with poor access to health care, hygiene standards and extreme poverty. Instead of dealing with these human issues which would help the entire community, they would try and convince you that we need more vaccines! Simply give them pure water, better living conditions and accessible health care and you would save their lives! I highly recommend reading a book called: How to Raise a Healthy Child in Spite of Your Doctor , the author Dr. Robert Mendlesohn, MD showed that vaccinated individuals are 14 times more likely to contract mumps than unvaccinated. Please, read his book if you are considering not immunising your children as it gives you the basic epidemiology overview of each disease and how to treat it in case your unvaccinated child gets it! You would also hear how dangerous measles is! Well, almost all people with mumps fully recover after a few weeks. During the illness, many people feel tired and achy, have fever, and may have parotitis. Some may feel extremely ill and be unable to eat because of pain around the jaw, and some may develop serious complications. Men and adolescent boys can develop orchitis, which rarely results in sterility. Women and adolescents girls may develop oophoritis. Meningitis and loss of hearing can also occur, and in rare cases this hearing loss can be permanent. The most serious complication is encephalitis, which can lead to death or permanent disability, although rarely. The whooping cough (pertussis) vaccine – between 1900 and 1935, mortality rates due to whooping cough dropped by 79 percent in the United States. Yet, the vaccine (DTP and DTaP) wasn’t introduced until 1940. In the article titled: Whooping Cough Vaccine not as Powerful as Thought by The Atlanta Journal-Constitution from 2009, the publication highlighted a recent cluster of 18 whooping cough-infected students. Seventeen of those students – 95% of those infected – had been immunized with five doses of DTaP vaccine. When we speak about an outbreak of any preventable infectious disease by vaccinations, instead of throwing numbers of those unvaccinated and sick, the organisations should highlight how many got recovered without any serious complications like with any other infectious disease which is not the part of immunisation programme. The major ‘weapon’ against people is FEAR. You as parent fear that your child will die! But this is not the case. Your little child is more likely to be hit by a car that dying from measles. Anyway, the ineffectiveness and un-safety of vaccines has finally gone mainstream. But instead of admitting that they don’t offer protection, health officials and the pharmaceutical companies are pushing for more vaccines as the solution. It is the fact that vaccines are full of toxins. These include chemicals, heavy metals and allergens. They also include numerous objectionable ingredients, such as monkey kidney cells and aborted fetal tissue. Some of you may argue: ‘But most of the vaccines don’t contain mercury anymore’. Well, guys.. it is not only mercury which is highly toxic! Formaldehyde is one of many chemicals found in vaccines. According to the Food and Drug Administration (FDA), ‘Excessive exposure to formaldehyde may cause cancer’. Another ingredient is a chemical known as 2-phenoxyethanol. This comes with an FDA warning which states that, ‘It can depress the central nervous system and may cause vomiting and diarrhoea, which can lead to dehydration in infants’. In addition to mercury and aluminium, many vaccines are also spiked with antibiotics like neomycin, polymyxin B, streptomycin and gentamicin. Although most of the vaccines don’t contain mercury anymore as I mentioned earlier, there are still many other chemicals which I mentioned and we just decided not to inject into our children. Vaccine supporters will state that the benefits outweigh these side effects. But that would only be right statement if vaccination was the only way of protection. And I’m adding to Shane’s statement above – You probably have heard about released study which showed that MMR vaccine may cause autism in children. Well, we don’t want to ‘test’ our children in order to prove this. I have researched 68 clinical studies articles which link vaccines to autism! I’m happy to share them with you in case you’re interested. Just let me know! Another argument I have heard a lot is that the amounts of toxins in these vaccines are so small that it won’t have a negative impact on health. Well, you need to understand that these toxins are cumulative, meaning that the body cannot get rid of it and more vaccines you inject, more toxins (although in small amounts) will cumulate and have an impact mainly on nervous system! When outbreaks arise among children, health professionals are quick to state that it’s due to a breakdown in herd immunity. Pro-vaccine parents attack anti-vaccine parents, accusing them of putting vaccinated kids at risk due to a breakdown in herd immunity. From my understanding, The term, ‘herd immunity’, was coined by researcher, A W Hedrich, after he’d studied the epidemiology of measles in USA between 1900-1931. His study published in the May, 1933 (before MMR vaccine was invented) American Journal of Epidemiology concluded that when 68% of children younger than 15 yrs old had become immune to measles via infection, measles epidemics ceased. For several reasons, this natural, pre-vaccine herd immunity differed greatly from today’s vaccine ‘herd immunity’. When immunity was derived from natural infection, a much smaller proportion of the population needed to become immune to show the herd effect; compare the 68% measles immunity required for natural herd immunity to the very high 95% of vaccine coverage deemed necessary for measles vaccine ‘herd immunity’. The vaccine herd immunity is only a hypothesis! Oh, have I mentioned that immunisation may cause autoimmune diseases in children such as diabetes Type-1? Doctor J. Bart Classen, MD, a former researcher at the National Institutes of Health, reported a 60% increase in Type-1 diabetes following a massive campaign in New Zealand from 1988 to 1991 to vaccinate babies six weeks of age or older with hepatitis B vaccine. His analysis of a group of 100,000 New Zealand children followed since 1982 showed that the incidence of diabetes before the hepatitis B vaccination program began in 1988 was 11.2 cases per 100,000 children per year, while the incidence of diabetes following the hepatitis B vaccination campaign was 18.2 cases per 100,000 children per year (May 24, 1996, New Zealand Medical Journal). Ok, I think I have written a lot about our personal reasons why we don’t vaccinate. But what is the other way of protection? 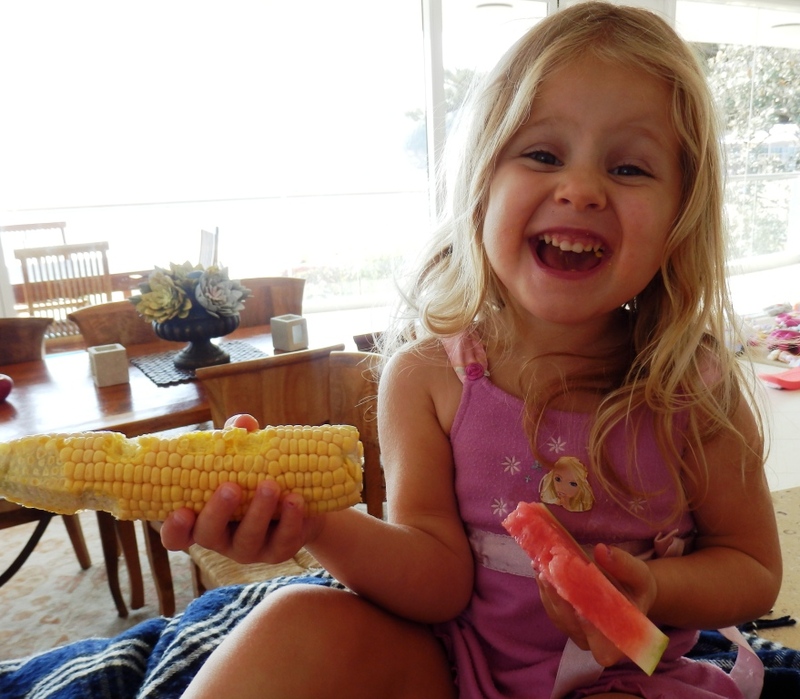 Is there any natural way how to build, boost and keep our children’ as well as our immunity strong? It is very simple. Eat organic, fresh raw foods as much as you can, drink pure spring or distilled water, avoid anything processed or reduce to minimum, reduce dairy products, reduce stress, exercise regularly but not extensively and stop watching TV. This is what we do and it seems working. Teach your children that they are responsible for their own health, nobody else! Teach them to prepare healthy food for themselves from early age, explain them clearly and in appropriate language suitable for their age all the benefits of eating natural and organic foods, set up hygiene standards which you will follow. In case they get sick with whatever disease, only then deal with it. There is always a natural way how to treat a disease, but this might be a topic for my next article. Thanks for reading if you get to the end. This one was a bit long.. I know..